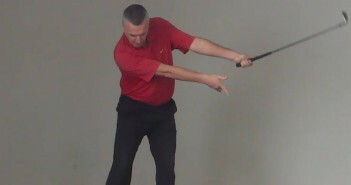 This drill takes the movements you’ve been working on in Golf Swing Drill 504e – Downswing: The Right Hand Release Movement – the Spider-Man Drill and starts to integrate them into a real golf swing. 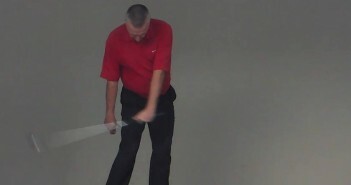 This is the sixth in a series of drills that breaks down and isolates the movements in the proper release of the golf club. In this drill, you are isolating the release movements of the right hand, but you also ingraining the feelings of a great impact position. Working on these feelings will grow neural pathways in your brain, building skill, subconsciously filtering back through your entire swing, helping you to quickly make dramatic and lasting improvements to your golf swing. 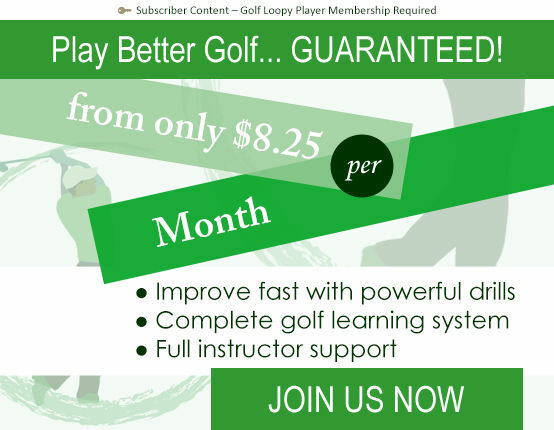 You’re also starting to learn what it feels like to accelerate the golf club into release, building lag and generating incredible club head speed very efficiently for a wonderful feeling of silky-smooth, effortless power. At the same time, you’ll see how the movements you’ve been practising enable you to very simply deliver that speed into impact, squaring the club face without the need for conscious manipulation or super-human timing – resulting in a much more repeatable swing and consistently excellent ball striking. Oh, and if you’ve been known to hit the odd slice, then forget all the “quick fixes” you’ve seen – once you can perform this drill correctly you’ll never slice a golf ball again! Once again, apologies to the lefties out there, but for simplicity this article will describe movements for the right-handed golfer. 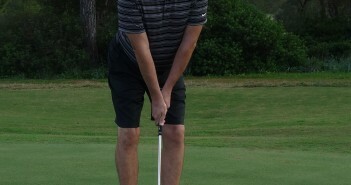 It is crucial that you become proficient with the movements described in Golf Swing Drill 504e before you spend time working on this drill – not doing so will hinder your progress. Remember that this is a drill, we’re isolating certain movements – the real golf swing will be different since it incorporates a number of other movements, but the feelings and movement patterns that you are ingraining here will quickly and dramatically improve your golf swing. You should perform this drill in front of a full-length mirror. …“throwing” the club into impact. 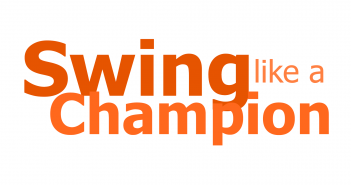 Next up, we’ll start bringing it all together, fine-tuning the movements and learning how to use the arms and hands as one unit for a truly great golf swing, in Golf Swing Drill 504g – Downswing: Fully Release the Right Hand.